Police and other federal and state law enforcement agencies are still searching for an escaped murderer in Oklahoma. The fugitive is a convicted murderer who is supposed to be serving a life sentence but posed as his cellmate and was bailed out of county jail, according to officials. 34-year-old Patrick Walker is described as a "violent individual" by state prison officials who say to call 911 if they spot him. A spokesman for the Oklahoma Department of Corrections named Matt Elliott said U.S. Marshals are working with county deputies and state troopers as the statewide manhunt continued Sunday. Elliott told ABC News Sunday, "It’s as intense as it was from the beginning. The marshals were involved from Day 1." Walker was able to walk out of the Payne County Jail Thursday in Stillwater, Oklahoma as he posed as his cellmate whom he shared an uncanny resemble with. "He impersonated one of his cellmates, had their identification information — like their ID cards, things like that," Elliott said in an interview with KOCO-TV in Oklahoma City. "He was able to pose as that inmate and bond out." The whole situation is most assuredly an embarrassing one for state and county officials who let the convicted murder walk right out of their jail. Walker's cellmate Charles Pendarvis wasn't a willing participant in the deception and told officials that Walker threatened to harm his family if he didn't give him his ID card. Elliott suggested Walker may still be using Pendarvis' identity and investigators are checking into whether Walker had help on the outside when arranging to be bonded out. Ironically, Walker signed the bail forms with his own name when he was released Thursday evening but the bondsman didn't notice the discrepancy between the two names until after Walker was long gone, according to officials. Elliott added, "This is a violent individual, and he should not be approached or dealt with in any way other than by law enforcement. If anybody sees him or thinks they may recognize him, they need to call 911 immediately." Police say Walker is considered armed and dangerous and stands about 5 feet 7 inches and weighs 174 pounds. He has brown eyes and a long scar on the left side of his face that runs horizontally from the corner of his mouth almost to his ear. Walker was convicted of murder for killing 19-year-old Brandon Harlan on November 6, 2001. 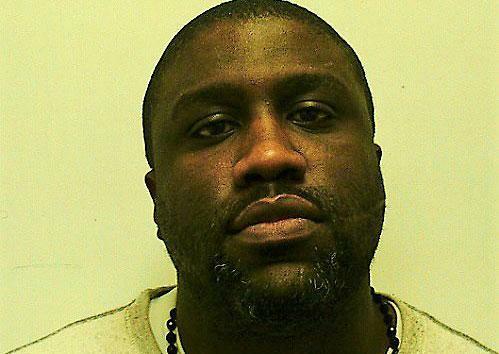 He was sentenced to life in prison after a jury of his peers convicted him of murder in 2003. You have the fingerprints of all prisoners. How the hell do you let someone out without positive verification. You print them when they come in & you print them when they leave. How the hell can prison officials be so stupid and lazy.